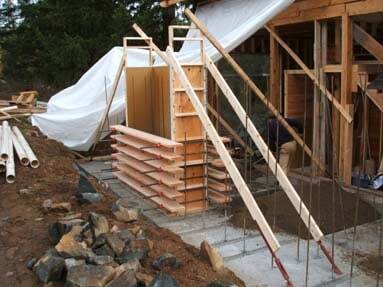 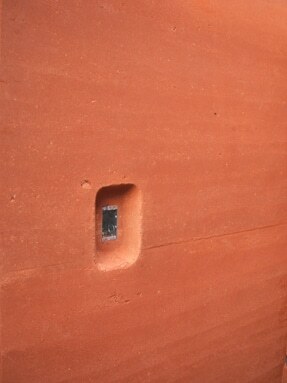 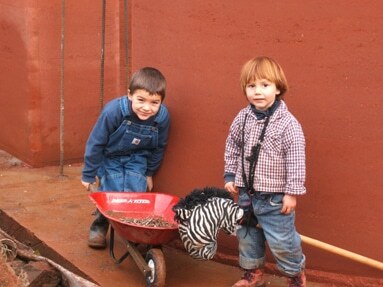 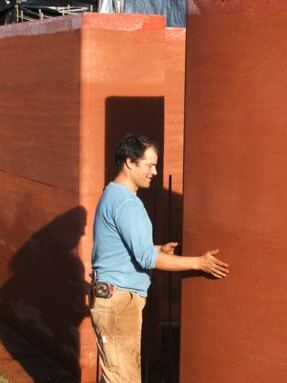 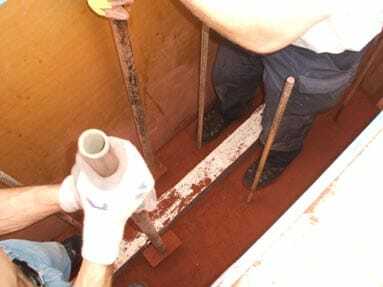 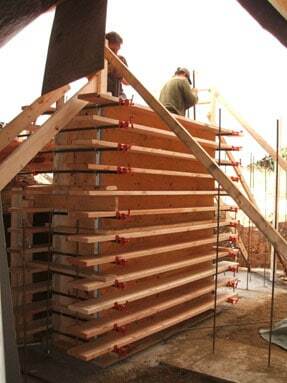 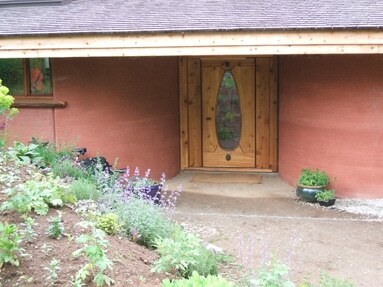 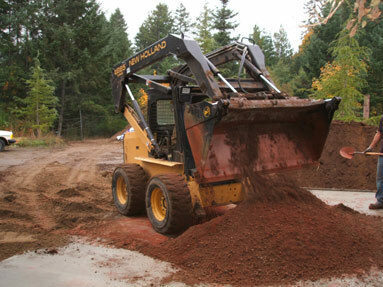 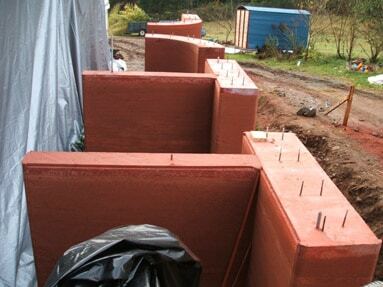 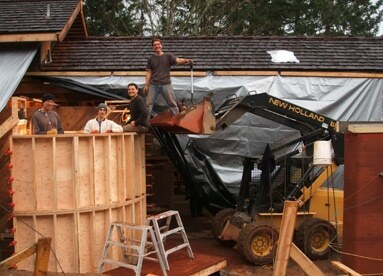 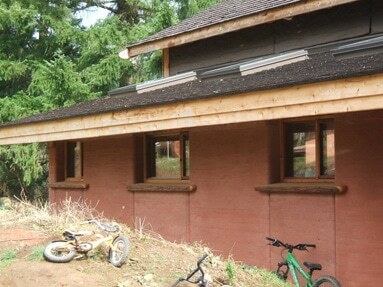 These rammed earth walls were built for our clients Lisa, Josh and Heidi on Saltspring Island, BC, Canada. 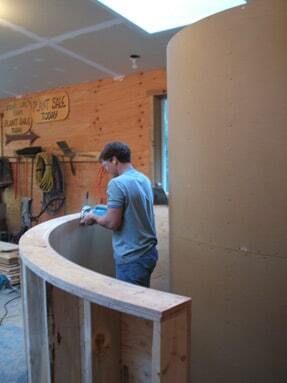 The fabulous entrance with double curved walls and Josh’s beautiful door. 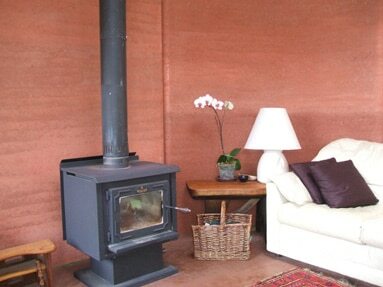 The orchid shows provides a beautiful contrast to the walls in the living room. 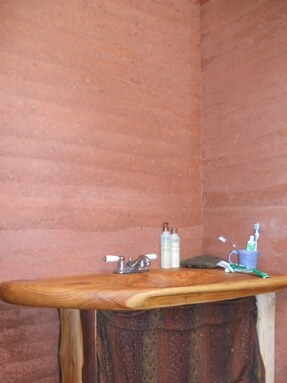 The bathroom, sink made by Josh from cedar driftwood. 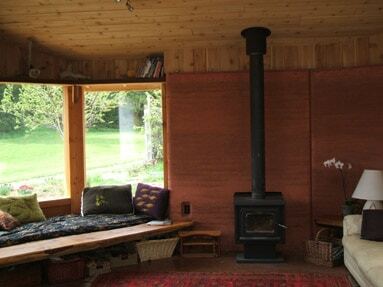 Nice window sills made of cedar slabs.